Is It Time to Hire a Contractor? So, you’re thinking it might be time to hire a contractor. If you’re like us, and many other homeowners, there comes a point in time when a looming household project becomes either too big or too complicated to tackle on your own. Maybe you don’t have the required skills for the project, it is way too labor intensive, or you just don’t have the time. Whichever the case, you’re not alone. We’ve all been in a situation before where we felt like pulling our hair out- quite literally. And let’s face it, sometimes we just need to admit that we don’t have the qualifications to be Mr. or Miss Fix It Up. Trust me– I’ve had my own share of DIY disasters, so I know where I’m coming from. Mistakes can be good–when you learn from them. 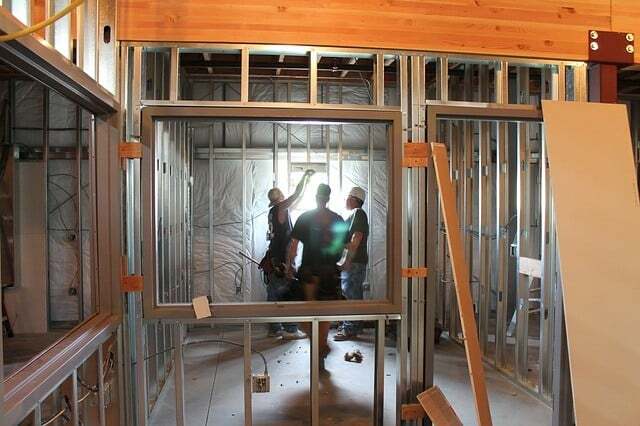 Rather than stressing out while trying to find a skilled professional to handle each aspect of your home improvement project, sometimes it is just plain easier (and less frustrating) to hire a licensed contractor who knows the ins and outs of the business, has the talent to get the job done and has a can-do reputation and attitude. You have enough to worry about. Why not let the professionals work out the details. Hiring a contractor can be cost effective. Do you have the tools required for the job? Are you hoping for a quality outcome that improves your property value? This is especially important if you are thinking about selling your home at some point. How soon do you want the project to be complete? Remember, DIY projects can often take months (if not years) because the work is usually fit in around other commitments. Skill and experience are valuable tools. Here are some more things to consider before you begin your project. Time is money, plain and simple. And, if you decide to hire a contractor, one of the reason why is likely because you want the project done. Yesterday. Which probably means you don’t have the time or energy to sit around wasting multiple days waiting for contractors to show up to give you bids, right? Our goal is to make your life a little more stress-free, and to make the process of hiring a contractor seamless. Want multiple bids without multiple visits? We’d love to help you out!